at the beginning of January I posted about my UFO/WISP plans for 2017. I’m concentrating on a handful of projects at a time to try and get some finished. I was thinking a quarterly update would be fine but then I thought that I should do an update each month to keep these projects uppermost in my thoughts as I've discovered I'm very much an "out of sight out of mind" kind of girl ! I'm happy to say I've actually made some progress on most of the UFOs on my current list ! I’ve made another block and have three more to do - my deadline for these is March ! This quilt top is now finished and has been added to the "to be quilted" pile ! I have this hexy block and another flower block prepped ready for hand sewing. 4. Hawaiian Applique - no progress on this one ! I've finished sewing all the blocks - now to be sashed and the top will be finished ! 6. Project 48 BOM - unfortunately no progress on these ! Only two more white borders to be pebble quilted ! 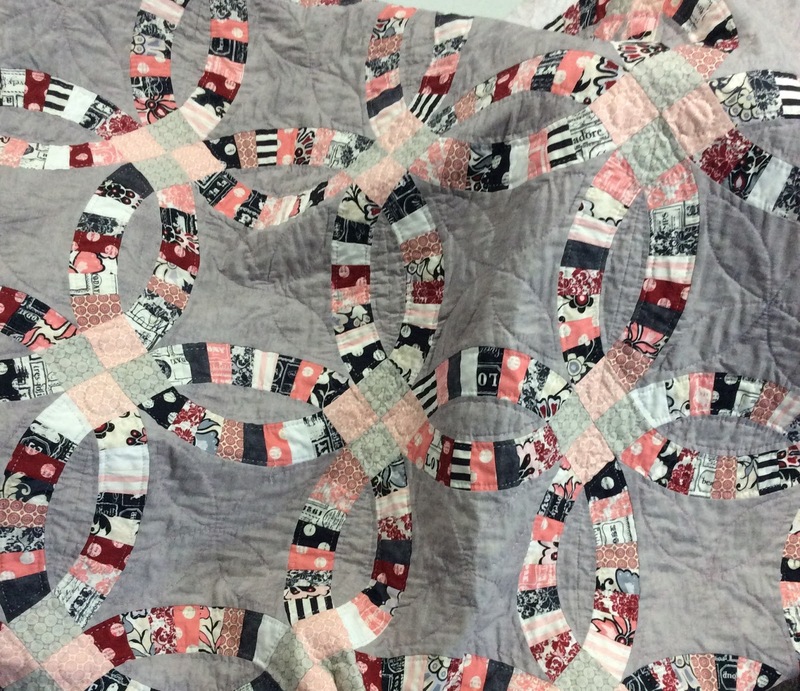 A little more hand quilting has been done on this one ! I've got a couple of deadlines coming up soon so not sure how much progress will happen on these projects in the next few weeks - any excuse - ha ! 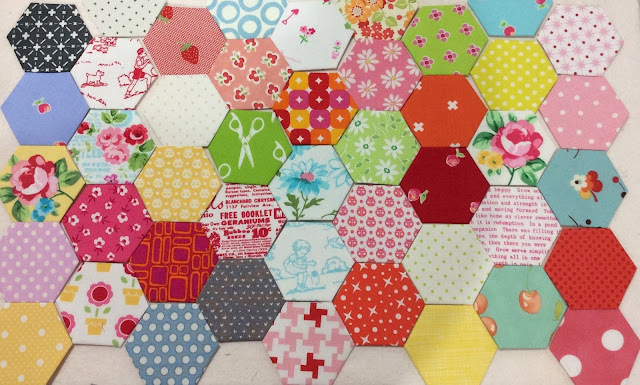 Your hexies on Busy Hands Quilt caught my eye! 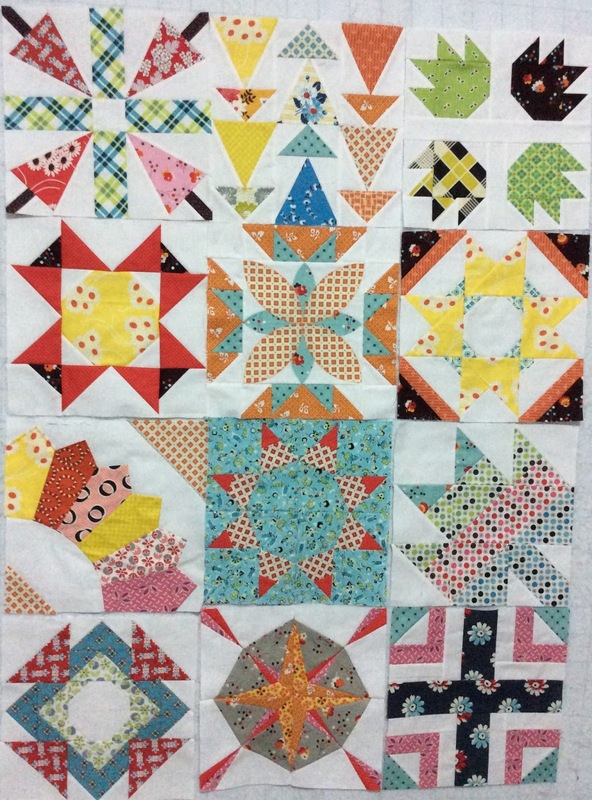 Love those colors - in fact I love your color choices for the projects you shared! Your pink and white block is amazing! Is there a tutorial for it? So pretty! Thank you for sharing!